Not too many people would envision the change that recently took place at Humber College’s main campus in Etobicoke. The former Funeral Services Education Program space which was used for teaching the preparation of bodies for funerals for 50 years was recently transformed into a teaching daycare for the College. The former windowless JF Building was changed into a bright and cheery daycare. 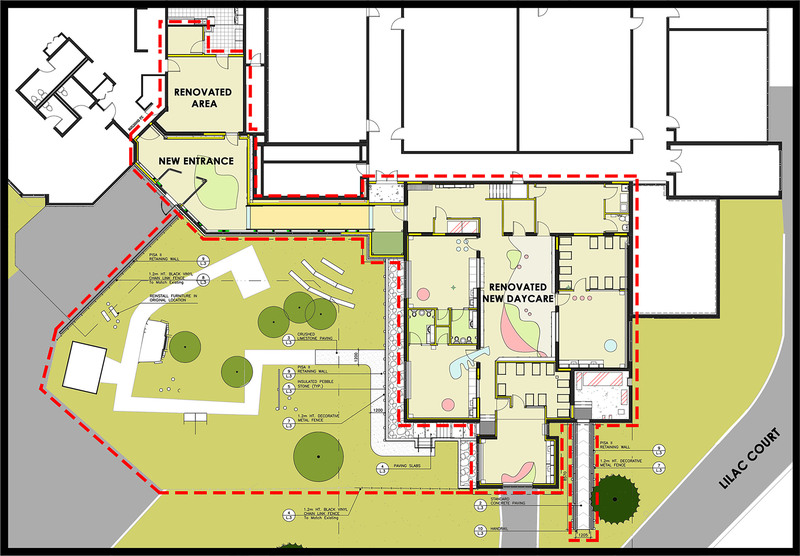 It required construction of a new link to connect the FX Building where the existing daycare is located. Designers ATA Architects Inc. were able to tackle all of the challenging aspects of this project and completed the design assignment on a tight schedule. The renovation included demolishing the majority of the existing rooms in the areas and creating new classrooms for the infants and toddlers, an observation room, a staff room, an office and other auxiliary rooms. The project was made further complex by the fact the link encroached under the existing F building. 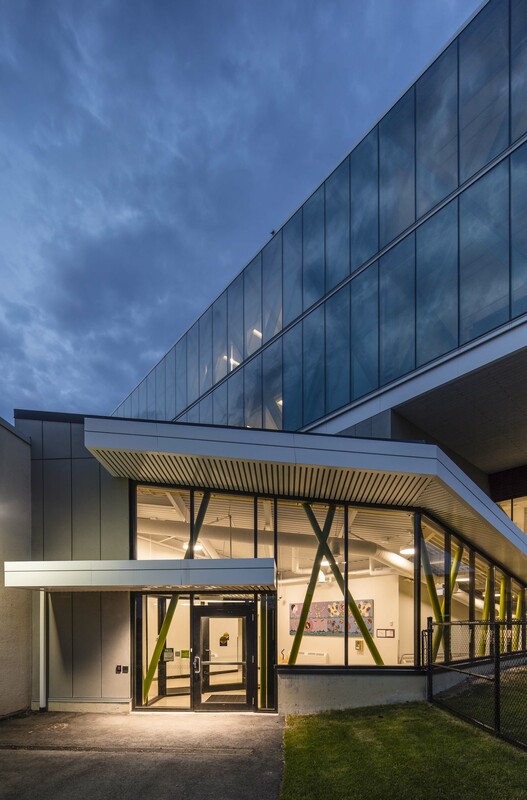 The College required that the link blend in, utilizing similar materials and colours on the exterior. The link was given a transparency and colour by expressing the structure that supports the sloping roof leading to the new space for infants and toddlers. 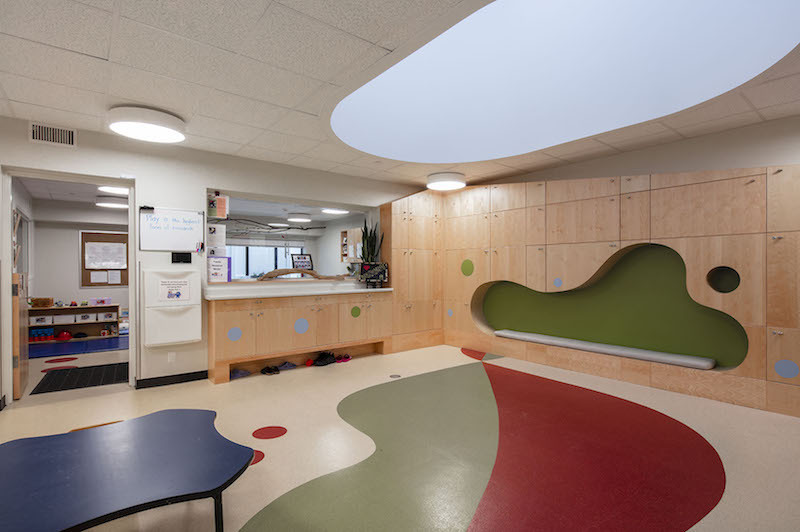 ATA’s use of BIM allowed the daycare staff to fully understand their new space prior to construction. The interiors incorporate graphics and colours reminiscent of Corbusier murals and Picasso abstracts to create soft rounded human scaled forms as a motif to the more rectangular antiseptic space that had to be rehabilitated to a strikingly different use. 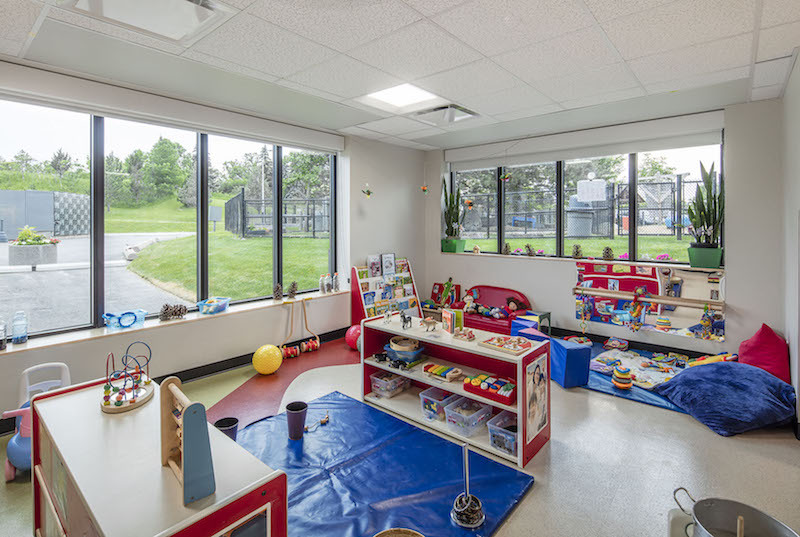 The observation platform was transformed into a light well and the grading was altered to provide a linear light well to meet the daylighting requirements of a daycare. The new link is designed to be fully shaded from the sun during the summer months, using a combination of multiple overhangs and reflective, tuned glazing. In the winter months the sun is allowed to fully penetrate the space. A new HVAC system, reconstructed deep within the 1950’s JF building supplies the new areas with fresh air, cooling and radiative heating from the Central Humber plant. The JF building insulation has been upgraded to today’s standard, and new windows have been punched through the envelope providing plenty of natural light.